The BAT and Teamwork seminars are both in the Garden Room in the Brig building at Magnuson Park. The Brig is the last building on the left before the dog park. Plenty of parking available in the big lot across the street (by the kids playground). Please check the time limit on the parking right by the building. Light refreshments will be provided. Please bring a lunch or plan to drive about 10 minutes to a restaurant. Please bring your own coffee cup if you can, to help the environment. You are welcome to bring your own comfy folding chairs, although we will have chairs there. For the weekend BAT seminar, please bring a clicker and a 6-15 foot leash (but no dog) for some role playing exercises. Well-socialized dogs who are comfortable being at a seminar may attend, although Grisha will not have exercises for the dogs and there will be some training exercises to do without your dog. Bring a crate, water bowl, entertainment, etc. for your dog and be prepared to take your dog home if s/he is not comfortable. 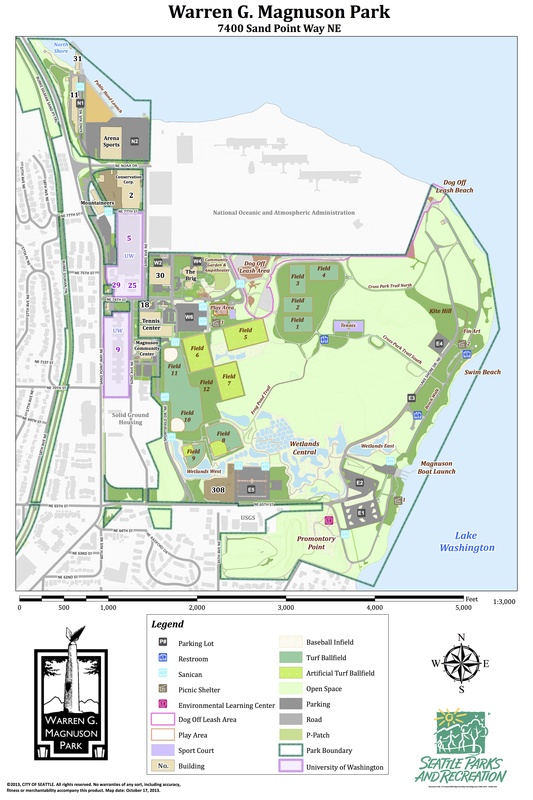 Arriving by car: The main entrance to Magnuson Park is at the intersection of Sand Point Way NE and NE 74th St. The Brig is a blocks east of this entrance, on the left before the dog park. Arriving by bus: Bus route #75 stops at the intersection of Sand Point Way NE and NE 74th St, which is the main entrance to Magnuson Park. The #74 Express, which runs during rush hours only, also stops at the park entrance. Arriving by bicycle: Enter Magnuson Park at the Sand Point Way NE and NE 65th St. entrance (There is a protected bike lane from the Burke-Gilman trail to this intersection). The safest route is to ride down the hill to the second left turn at Sportsfield Drive, then take Sportfield Drive to the first 4-way stop. There are bike racks in front of the Brig building.